Q: Why should I choose INKOFFMD for tattoo removal? A: INKOFFMD is the only facility in South Orange County using the PicoSure picosecond laser which removes tattoos more effectively with fewer treatments, and faster recovery time. 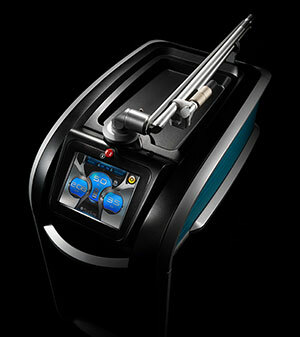 Q: How does PicoSure differ from other tattoo removal lasers? A: The PicoSure laser uses picosecond technology. Unlike previous lasers used to remove tattoos, the PicoSure laser deposits an extreme amount of energy so fast that the tattoo ink, experiences significant photomechanical effects leading to a break-up of the ink or pigment particles. Q: What is the cost of laser tattoo removal? A: Treatments are $250 per area to be treated. This is based on your body size to tattoo diameter ratio. For an official price quote, please make an appointment for a complimentary consultation. Q: Will all the colors of my tattoo be removed? A: We can remove most colors completely. Some colors will require more treatment than others. In most cases even the most difficult to remove colors will usually fade to where they’re nearly impossible to see. Q: Will I see any changes after the first treatment? How many treatments will I need? A: You will see some changes after your first treatment. Every tattoo is different and everyone’s response to treatment will differ. Most tattoos require multiple treatments to remove completely. We normally schedule six treatments, however it may take fewer or more then six. We will continue to treat your tattoo until it is no longer visible. Q: Are the treatments painful? A: Tattoo removal can be uncomfortable, but tolerable. Treatments are very quick and we use a local anesthetic to ensure your procedure is as comfortable as possible. Q: Are there certain things I should do or not do before treatment? A: It is best to shave the area to be treated. You should avoid aspirin and other ibuprofen products. Q: Will I have any scarring? A: If you follow the aftercare instructions the chance of scarring is rare. Please note that if you have any preexisting scars from the initial tattoo that was too deep, those scars will remain. The PicoSure laser can only remove ink. Q: What can I expect after treatments? A: For the first 24 hours if you have discomfort apply an ice compress periodically. Do not exercise, swim or use steam rooms and saunas. After 24 hours and until the area has healed, apply Aquaphor cream twice a day. You can resume normal activities, however you cannot swim until the area is fully healed. It is best to avoid the sun and tanning beds until the area is fully healded. Do not pick at blisters or scabs. This increases the risk of infection and/or scarring. Treatments will be scheduled 6-12 weeks apart.